Michał is a 3rd year PPE student at Balliol College in Oxford. He was born and raised in Szczecin and after a turbulent year in Singapore and China, he ended up moving to England. Since the very beginning of his time at the university, Michał got involved in organising Polish student community. 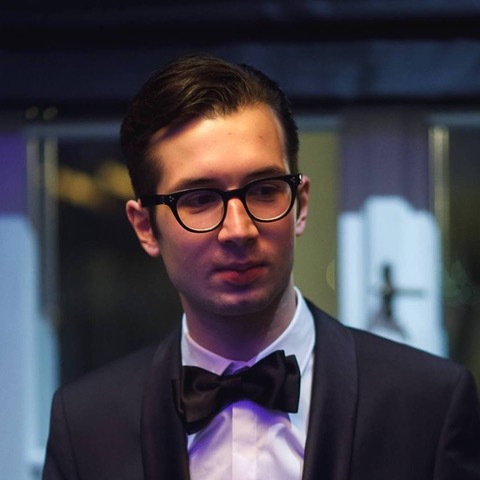 He spent two years at various positions within the Oxford University Polish Society, ultimately running successfully to become the 2018/19 president. He also led Project Access Poland in 2016/2017 overseeing the organisation of the first Project Access Poland Summer Bootcamp. In his spare time, Michał likes to read about international relations and party with his old and new friends. Maks is a third year BSc Banking and Finance student at Middlesex University. He was born in Kraków, but spent most of his life in Czestochowa; now he enjoys British weather as a Londoner. Being passionate about the complex world of financial markets, he is especially interested in the phenomenon of financial crises as well as in learning about investment strategies. Keen sailor, reptile keeper and old cars lover. In his free time he runs, plays the piano and reads everything from novels, biographies to “Forbes” magazine. He plans that his adventure will lead him to his own private equity fund and to discover all six continents. Marta is a second year student of Political Economy at King’s College London. She is keen on institutional economics and enjoys broadening her knowledge on the topic of economic transformation after the fall of Communism in Central and Eastern European countries. Moreover, she is interested in the rate at which countries develop. One of her favourite books is “Why Nations Fail: The Origins of Power, Prosperity, and Poverty” by D. Acemoglu and J.A. Robison. 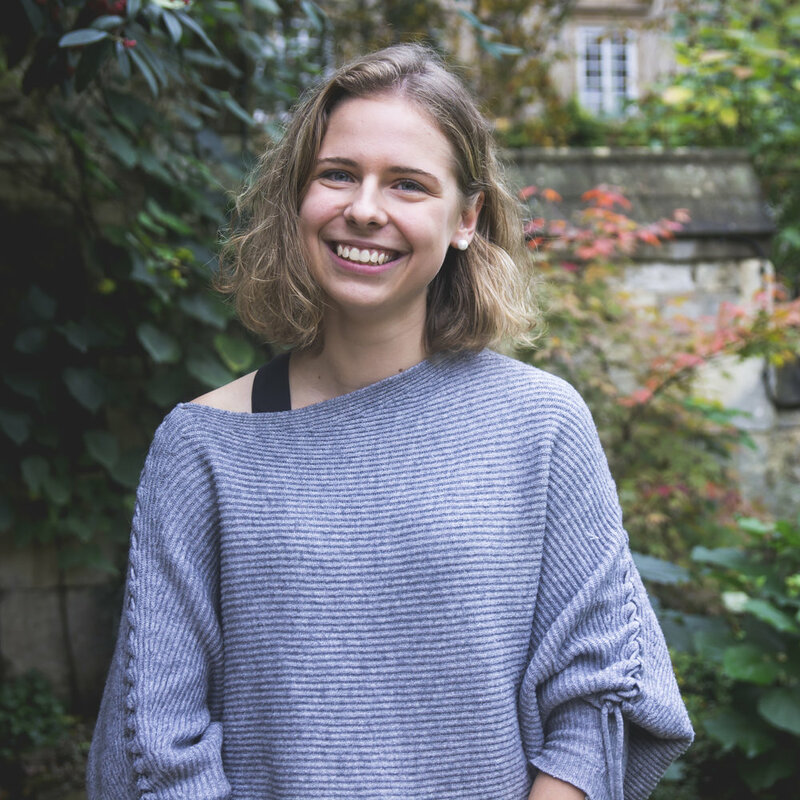 Once her classes finish, she devotes herself to organizing social events both within the KCL Polish Society, where she holds a Secretary position, and KCL Business Club, where she works as an Marketing Associate. In her leisure time, she plays tennis or squash and goes to the theatre. Zuza reads Psychology and Linguistics at St. John’s College, University of Oxford. Finding the balance between science and humanities, she’s especially interested in psychology of advertising and the phenomenon of social media among millennial generation. She greatly enjoys learning languages (Arabic is her love at first sight) and loves to discover hidden meanings in media campaigns. Gaining experience from projects and internships, she’s always on the lookout for new challenges. In her free time, you will probably spot her in the college gym, lifting heavy bars and bench pressing. Kasia is a second year graphic design student at Camberwell College of Arts. She loves Wilhelm Sasnal (and his paintings are pretty good, too), Polish School of Posters (she’s particularly excited about the works of Henryk Tomaszewski and Wojciech Fangor), and the fact that one can’t possibly run out of new exhibitions to see in London. Her plan for life after graduation is staying creative and learning new things until she dies. Malwina is a second-year law student at the London School of Economics. She is passionate about international law, international protection of human rights, and she even reads European Journal of International Law for fun. That said, her biggest barrister role model is, obviously, Amal Clooney. 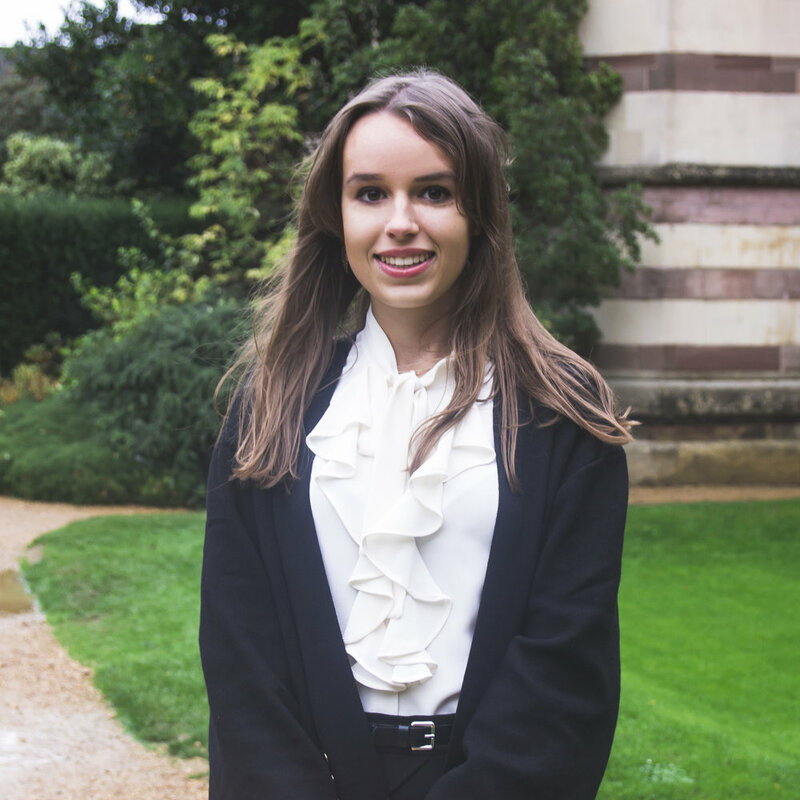 In her free time, Malwina is a keen MUNer who represented Team LSE at Harvard World MUN in Panama. Moreover, she is an enthusiast of french language and loves reading Jane Austen’s novels instead of doing her law readings. Having spent last summer in New York and feeling like Sting who was once ‘an Englishman in New York’, she dreams about going on an American road trip and taking thousands of pictures with her disposable camera. Antoni is a second–year Sociology student at the University of Nottingham. Born in Krakow, a city commonly referred to as the Polish capital of culture, he has always been passionate about visual, literary and performing arts. He currently explores those aspects of human activity in the broader context of the impact they have on societies and everyday reality. When too tired to read academic books, he retreats into sweet depths of Russian literature of the nineteenth century. Notorious for running away from Nottingham’s lecture–rooms to National Theatre in London and The National Old Theatre in Krakow. A doctoral student at Wolfson College, Oxford University, focusing on Biblical studies and early Christian history. An Oxford old-timer, he has arrived in 2012 to begin his undergraduate degree in Philosophy and Theology. In the meantime, he helped out with organising the 2014 edition of the Congress. A great fan of learning languages, ancient and modern alike, and working with obscure old texts. In the his barely existing free time, he enjoys reading, watching films, and trying out new recipes. In the future, he wants to lead the life of the Dude from “Big Lebowski”, his favourite film. Michalina is a first year Biochemistry with French undergraduate student at Imperial College London. Apart from her interest in cancer and stem cell research, she has a great passion for foreign languages. In her free time, she enjoys listening to R&B music, dancing and reading books, especially those written by Oscar Wilde. She loves being involved in various projects and wants to pursue her interest in oncology in the future. Aleksandra is a first year medical student at Brighton and Sussex Medical School. She has a great passion for the human body as well as for the molecular and biochemical processes that underpin its function. Being research focused, she finds molecular oncology and its connections to immunology especially captivating. As much as she enjoys spending time on her clinical placements, she is also an avid language learner. Using the opportunity of living on her own she started exploring new recipes. Amateur art lover, beauty appreciator and beginner runner. Jagna reads law at London School of Economics and Political Science. As her interests are mainly associated with social sciences, she is responsible for the political section of the congress. She’s quite good at debating, even though she hasn’t won anything. Her organization skills derived from engagement in high school student union, running a debating society for younger peers, scouting and volunteering. In her free time, she enjoys procrastinating, watching movies, cooking and playing Scrabble. Kacper is an MSc candidate at the London School of Economics and Political Science and a law graduate from St Anne’s College, Oxford. He served as a president of the Oxford University Polish Society for the 2017/18 academic year. He is a enthusiastic about felines of all shapes and sorts, Austro-Hungarian thought and literature—from Kelsen and Wittgenstein to Roth and Hrabal—old films, and lager beer. He misses Warsaw most of the time he is in the UK and always wonders why he does not seem to ever want to stop studying here. Also known as the person with no surnames, Adam is an undergraduate fresher reading Physics at Wadham College of the University of Oxford. His interests span different disciplines, such as philosophy, foreign languages and mathematics. His favourite book is “Alice's Adventures in Wonderland”. He enjoys listening to alternative and indie music. After university, he would love to travel all around the world and work in different scientific institutes. 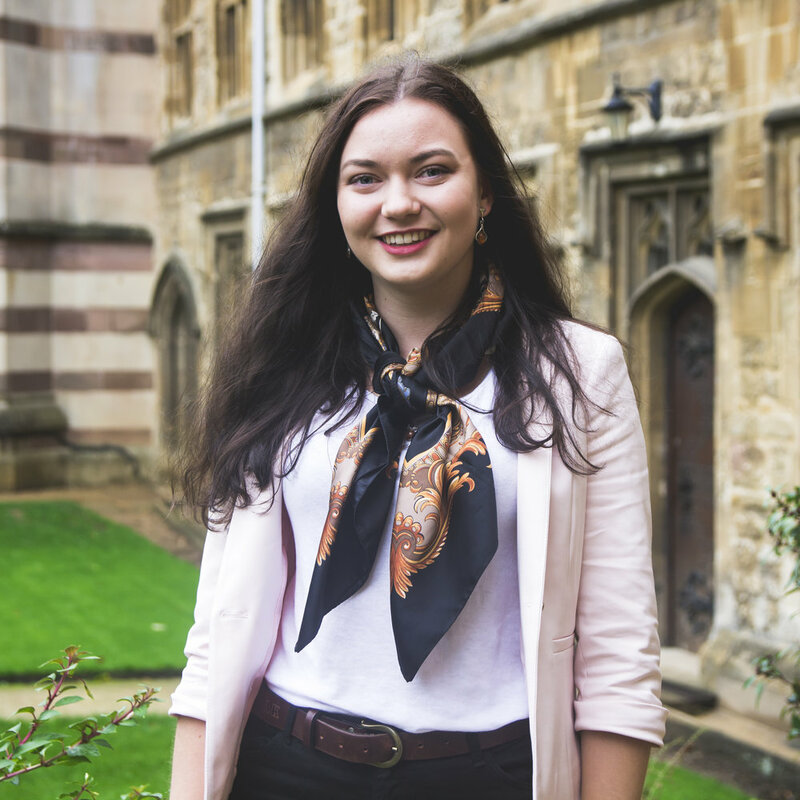 Ania is a second year student of Modern & Medieval Languages at the University of Cambridge. She spends most of her time trying not to confuse the languages she learns: apart from the languages she studies, French and German, she is also learning Portuguese and Russian. She can talk to you for hours about diplomacy, education and skiing (and keeps inviting everyone to come skiing and eating oscypek with her in Szczyrk). If asked to share her greatest achievement, she would probably say - surviving a ‘holiday’ in North Korea. Ania is a first year chemistry student at Oxford University. She believes that chemistry development throughout history provides some of the strongest evidence of human brainpower. Keen sailor with sailing experience of almost 6 months on both high sea and inland water, doomed to live with shanties tunes inside her head. Kuba is a second year doctoral student in Oxford, specializing in quantum control of molecular spins with magnetic resonance. During the times he is not busy thinking about physics, he likes to dance, especially salsa and bachata, or to explore Oxford on his bike. He currently has his duties in social media, being an admin of one of the largest Polish political discussion Facebook groups, but after finishing his degree he plans to get seriously involved in the industrial research towards the development of universal quantum computers. Sonia is a first year PPE student at University College, Oxford. When not in the library writing essays on political theory, she also likes to read detective novels and sleep. Since arriving in Oxford she has developed an unhealthy obsession with rugby, so can be sometimes seen walking down High Street covered in mud and bruises. Having lived in Poland for the first 19 years of her life, she is now still in the process of learning how to appropriately answer questions such as “how are you?” or “you’re alright?”, which is apparently way trickier than it seems. Przemyslaw Gawel studied Chemistry and Biotechnology within the College of Inter-Faculty Individual Studies in Mathematics and Natural Sciences at the University of Warsaw. After a short research stay at the Technical University of Braunschweig in Germany, he moved to Zurich, Switzerland, where he did his PhD at the Swiss Federal Institute of Technology (ETH). Currently, he is a research fellow in the Department of Chemistry at the University of Oxford and a research associate at Keble College. Maciej is a second year Economics student at the University of Durham. Most of the time he keeps himself busy with producing music, running a music society and a music band. He enjoys analysing the contemporary political and economic developments with a fair historical and psychological insight; also enjoys a good rave with fair amounts of drum’n’bass. He has a soft spot for Jonathan Haidt’s discussion of inherent political divisions, Yuval Harari’s narrative of the human history and Flume’s remix of “You&Me”.